Barry Werbin is counsel at Herrick, Feinstein LLP and a member of its Intellectual Property Group. Barry concentrates his practice in intellectual property and online issues (including trademarks, trade dress, copyrights, unfair competition, false advertising, publicity and privacy rights, trade secrets, domain name issues and UDRP arbitrations, digital rights protection, trademark and content licensing, Internet and traditional marketing and sponsorship agreements, publishing, due diligence and exploitation rights) and technology (including software licensing and development, IT support agreements, website development and hosting, and data and computer security breaches). Barry handles infringement and other complex commercial litigation and a broad variety of IP-related transactional matters. 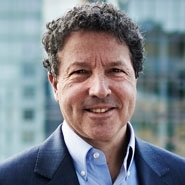 Barry serves as Co-Chair of both the Copyright Society of the U.S.A, New York Chapter and NY State Bar EASL Section's Publicity, Privacy and Media Committee, and is a member of the EASL Executive Committee. Barry was Chair of the Copyright & Literary Property Committee of the New York City Bar Association 2010-2013. He is currently a member of the INTA’s Bulletin Committee and was a prior member of INTA's Online Use/Web 2.0 Working Group, which studied brands in social media. Barry is also Co-Chair of Fordham Law School’s Intellectual Property Alumni Affinity Group. Barry lectures on copyright law at St. John's Law School and Brooklyn Law School, and previously lectured on Internet law at Parsons School of Design. From 2013 through 2019, Barry was recognized as a top intellectual property litigation lawyer by Thompson Reuters' Super Lawyers, which rates outstanding lawyers who have attained a high-degree of peer recognition and professional achievement.